Model No. Size Model No. Size Model No. Size Model No. Larger diameter chucks available, contact us for price and delivery. Chuck Size Gripping Capacity Wt. Mounting plates are precision machined to suit the spindle nose of your machine. Plates are stocked semi-finished. If ordering plate separately, specify the model number of your chuck so that PBA can finish machine the adapter to suit your Pratt Burnerd chuck. Spindle 6" 8" 10" 12" 14" 16"
﻿Spindle 6" 8" 10" 12" 14" 16"
Special adapter plates available upon request. 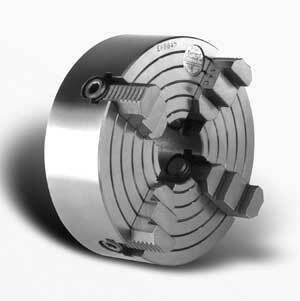 Specify chuck number and spindle nose specifications. 6", 8", 10" and 12" adapters are the same as 3 Jaw adapters.